Have you gotten some injuries and muscle pains recently? Are you looking for ways to alleviate the pain that you are feeling? Here at Aerio Rehab, we offer physical therapy to help relieve pain and make you feel better. 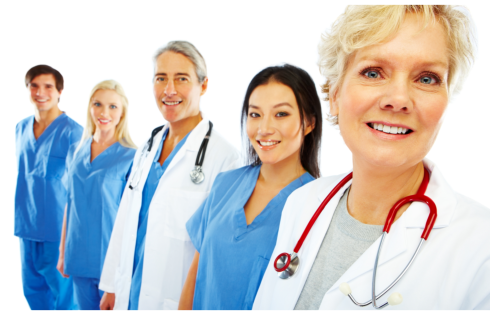 We have the professional physical therapist to offer you their help if you are suffering from pain or injury. These are trained physical therapists whom you can ask about your condition as well as the different sessions that you’ll need. Before anything else, you have to also understand how this can be beneficial for the body. Our Patient Physical Therapy in Texas will share to you the benefits that you can get if you try this. Physical therapy is often done to patients who have physical, neurological, and cardiopulmonary problems causing pain and limitations in their physical activities. Our physical therapists will offer continued supervision to our patients so that they can regain strength and go back to their normal life. Aside from that, physical therapy would help in the total recovery of the person who has problems with their health as well as physical fitness. For many years, our Patient Physical Therapy in Texas has been proven very effective in helping patients recover from their debilitating condition. It is common for physical therapists to provide physical therapy to those patients who are still recovering from a stroke. Stroke, just like other medical conditions or diseases in the body, can impair the normal functions of the body, preventing patients from becoming dependent in doing daily tasks. Because of this, we assist patients the best way we can so that they can go back to their normal life easily. We guide and help them in doing the things they need to do every day in accordance with their limitations. Through this, we could build on the abilities that they have so that they can slowly recover from their condition. One of the important goals to achieve for patients who have joint, muscles, or ligament problems is to recovery right away. Through physical therapy, the injuries found in these areas will be healed right away. 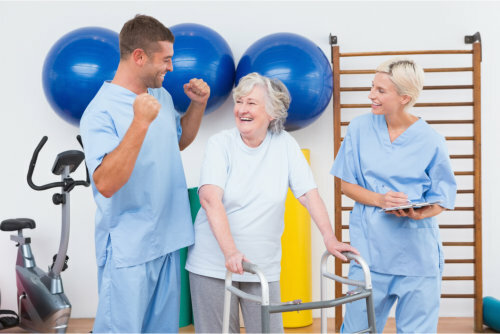 As a result, our patients can now be able to move their body with the assistance and help of our physical therapists. Along with this, we also include proper exercises that our patients have to do regularly to regain complete mobility in these areas in the body. Furthermore, we also ensure that they get used to the workout routines that we provide so that in the long run, it will no longer be hard or difficult for them to do. In the end, they will begin to see some changes in their body, particularly an increased in strength that has been developed in the course of doing the workouts. In other words, Aerio Rehab commits to helping you in improving your overall health. Physical therapy has been known as one of the best options to treat pain and improve mobility after an injury. Whenever you hear the word injury, you often fear about undergoing surgery, but this is not necessarily the case. Do you know that you can recover completely from injury just by having physical therapy? This non-invasive procedure is actually able to improve your overall health, well-being and enhance your quality of life. Many people are grateful for the fact that there are physical therapists out there that can improve their health condition and help them recover completely, without the need of a surgeon, an operating bed or a surgical knife for that matter. Who wants to take medications for a long time? With the help of a good physical therapist, the pain felt will be reduced and control without a long-term use of medication. That is possible for you to experience in our Patient Physical Therapy in Texas. Though we don’t nullify the fact that medications are important for managing pain, we only do our best to ensure that these medications won’t be used for a long time. Since it is possible to manage pain and improve the overall health condition of our patients without its long-term used, we choose this way of treating them for their own convenience and happiness.